Scroll down to watch a great video on the Great Barrier Reef! When Lieutenant James Cook ran his ship aground on a protruding mound of reef just off the east coast of Australia in 1770, little did he appreciate what a marvel he had stumbled across. He most likely didn’t appreciate it at all, as this unexpected setback delayed his explorations by weeks and very nearly sank the HMS Endeavour, the ship that would later become a symbol of epic voyages. Cook’s trip was spent staring at the skies as he observed the movements of Venus and sought to unravel astrological mysteries. He was finding things to do in the Whitsundays before they were even called that. If he’d only looked down, he would have discovered an underwater planet bubbling with life, offering an array of life forms almost as plentiful as the stars and equally as mesmerising. He had inadvertently landed himself and his crew on a coral reef that in centuries to come would continually astonish and bewilder marine biologists and ecologists, attracting literally millions of tourists each year. His obstacle was the world’s largest living organism: The Great Barrier Reef. You will have undoubtedly heard of ‘the reef’, as the locals call it. Along with the likes of Mount Everest and the Grand Canyon, this 2000km stretch of over 3000 individual reef systems is often described as one of the seven natural wonders of the world. It is bigger than the Great Wall of China and can be seen from outer space. That’s nice to know, but nigh on impossible to comprehend. If you really want to grasp just how unique this phenomenal coral metropolis really is, you have to get up close.The Whitsundays are known as the ‘gateway to the Great Barrier Reef' meaning they are the best vantage point from which to explore. It is little wonder that in 1981 the Great Barrier Reef was declared a UNESCO world heritage site. Here, over 1000 species of coral form an expansive home for thousands of species of fish, as well as sharks, rays, turtles and other marine animals. It is a location of outstanding natural beauty, offering an unimaginable palette of colour and a constantly evolving expanse of unique shapes and silhouettes. Snorkelling or scuba diving is an absolute must if you want to truly experience the Great Barrier Reef. Beneath the waves, often just metres from the bustling shores of Australia’s hotspots, you can find a quiet haven, a peaceful and calming escape from life on dry land. If you’re a water baby, welcome to your nirvana. If you’re a complete aquaphobe, you are sure to be distracted from your fears once you spot a shoal of luminescent fish gliding together in an orchestrated mass amongst the coral, or come across an angelfish, a parrotfish or a butterflyfish (these look as interesting as they sound). There is no need to waste valuable suitcase space with flippers or masks; all equipment is often readily available at hire outlets and on cruises to the reef, as well as scuba diving and snorkelling lessons. The serenity of this seascape is surprising when you consider the pulse of activity ceaselessly in motion fuelled by the thousands of creatures who call this place home. Each and every resident has a role to play here, from the miniscule coral polyps which help form the structure, to the alarming-looking lionfish and reef sharks which dart amongst them. It is all at once quiet and chaotic and watching the deep-sea dwellers get on with their everyday lives is a privilege. Don your mask and flippers and head out from the many points of access along the east coast to join these creatures and observe them in their natural habitat. This beats any aquarium, no question. We’ve established that the reef is certainly something to see, but its other-worldly beauty is just one aspect to be appreciated; it just so happens that it’s pretty darn clever too. 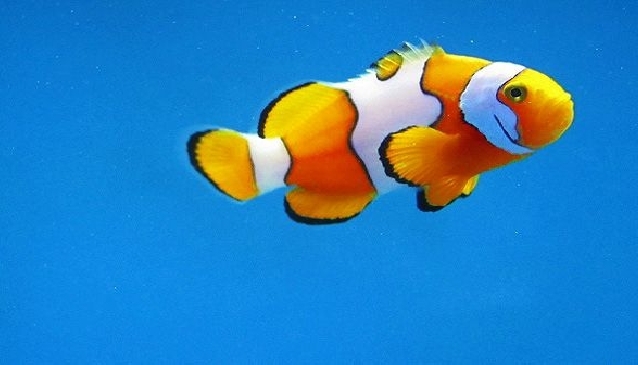 Take Nemo for example, otherwise known as a clownfish. This little fella is not as nice as you might expect. As portrayed in Finding Nemo, he has to fight for survival in a habitat awash with toothy predators. What the cartoon didn’t reveal is to what lengths these cute and colourful fish will go to in order to survive. They have adapted in such a way that they are able to live in the potently poisonous tentacles of sea anemones, forming a mutually beneficial relationship with their hosts. The anemone provides a protective sanctuary for the clownfish, whilst the clownfish lures unsuspecting victims towards the lethal limbs as an offering of thanks. They have even been known to drag their target towards its untimely end by the fins. That’s not cute. That’s resourceful. Life is tough when your co-habitants either want to eat you or compete with you for food. The reef is a battlefield – a backdrop for the daily struggle so many species face in order to thrive in this often harsh and unforgiving environment. In addition, they now have another potentially catastrophic battle ahead: Climate change. It is happening and it is already affecting the reef. A rise in temperature of the ocean’s waters is having a detrimental effect on all life-forms here, causing coral bleaching, which in turn destroys the homes of thousands of animals. Luckily, the tourism and fishing industries are strictly regulated by the GBRMPA (Great Barrier Reef Marine Park Authority), which does all it can to promote these issues in the hope the reef can be saved. The reef itself is doing its bit too. Every spring, in an extraordinary synchronous display of fertility, as if to defy the many ruinous threats coming its way, the corals spawn simultaneously at sunset, clouding the water with gametes, creating millions of coral larvae which float away to settle in a secure spot from which to grow. There is hope still, but the sooner you dip your toes in to our warm east-coast waters the better, as the more people who see and appreciate the immense importance of the Great Barrier Reef, the more likely we are to secure its future. James Cook made history when he mistakenly struck the reef. Let’s not confine the Great Barrier Reef to the history books with our mistakes. With responsible tourism, it is possible to see our world from another perspective and get up close to one of the most remarkable ecosystems on the planet.